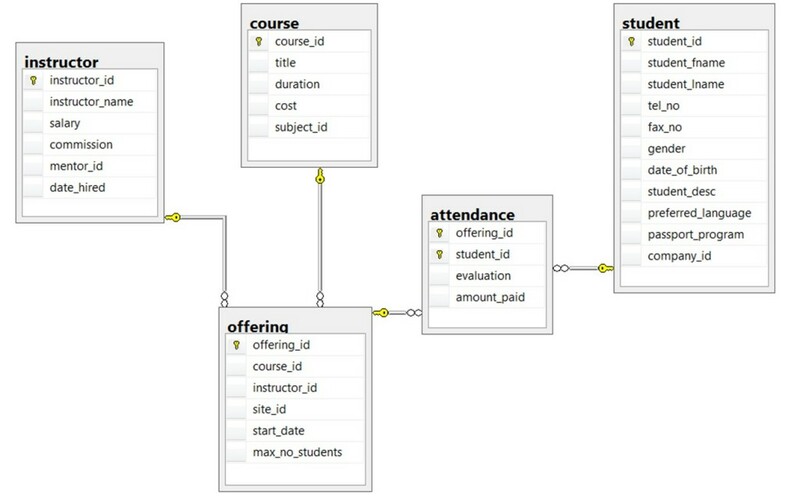 Here is an example of how these two concepts might be combined in an ER data model: Prof. Ba (entity) teaches (relationship) the Database Systems course (entity). There are several departments in the company. Each department has a unique identification, a name, location of the office and a particular employee who manages the department. A department controls a number of projects, each of which has a unique name, a unique number and a budget. Each employee has a name, identification number, address, salary and birthdate. An employee is assigned to one department but can join in several projects. We need to record the start date of the employee in each project. We also need to know the direct supervisor of each employee. We want to keep track of the dependents for each employee. Each dependent has a name, birthdate and relationship with the employee. Entities can be classified based on their strength. An entity is considered weak if its tables are existence dependent. The Spouse table, in the COMPANY database, is a weak entity because its primary key is dependent on the Employee table. Without a corresponding employee record, the spouse record would not exist. An entity is considered strong if it can exist apart from all of its related entities. Another term to know is entity type which defines a collection of similar entities. An entity set is a collection of entities of an entity type at a particular point of time. 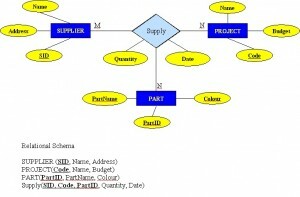 In an entity relationship diagram (ERD), an entity type is represented by a name in a box. For example, in Figure 8.1, the entity type is EMPLOYEE. Figure 8.1. 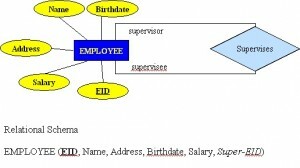 ERD with entity type EMPLOYEE. An entity’s existence is dependent on the existence of the related entity. It is existence-dependent if it has a mandatory foreign key (i.e., a foreign key attribute that cannot be null). For example, in the COMPANY database, a Spouse entity is existence -dependent on the Employee entity. You should also be familiar with different kinds of entities including independent entities, dependent entities and characteristic entities. These are described below. They are the building blocks of a database. The primary key may be simple or composite. The primary key is not a foreign key. They do not depend on another entity for their existence. If we refer back to our COMPANY database, examples of an independent entity include the Customer table, Employee table or Product table. Dependent entities are used to connect two kernels together. They are said to be existence dependent on two or more tables. Many to many relationships become associative tables with at least two foreign keys. They may contain other attributes. The foreign key identifies each associated table. They typically have a one to many relationship. The foreign key is used to further identify the characterized table. Employee (EID, Name, Address, Age, Salary) – EID is the simple primary key. EmployeePhone (EID, Phone) – EID is part of a composite primary key. Here, EID is also a foreign key. 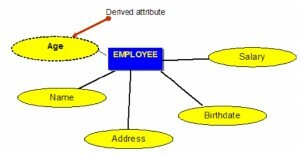 Each entity is described by a set of attributes (e.g., Employee = (Name, Address, Birthdate (Age), Salary). Each attribute has a name, and is associated with an entity and a domain of legal values. 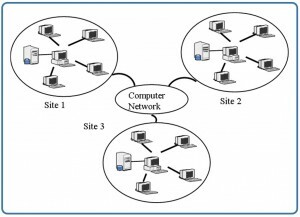 However, the information about attribute domain is not presented on the ERD. In the entity relationship diagram, shown in Figure 8.2, each attribute is represented by an oval with a name inside. Figure 8.2. How attributes are represented in an ERD. There are a few types of attributes you need to be familiar with. Some of these are to be left as is, but some need to be adjusted to facilitate representation in the relational model. This first section will discuss the types of attributes. Later on we will discuss fixing the attributes to fit correctly into the relational model. Figure 8.3. An example of composite attributes. Multivalued attributes are attributes that have a set of values for each entity. An example of a multivalued attribute from the COMPANY database, as seen in Figure 8.4, are the degrees of an employee: BSc, MIT, PhD. Figure 8.4. Example of a multivalued attribute. Derived attributes are attributes that contain values calculated from other attributes. An example of this can be seen in Figure 8.5. Age can be derived from the attribute Birthdate. In this situation, Birthdate is called a stored attribute, which is physically saved to the database. Figure 8.5. Example of a derived attribute. An important constraint on an entity is the key. The key is an attribute or a group of attributes whose values can be used to uniquely identify an individual entity in an entity set. There are several types of keys. These are described below. A candidate key is a simple or composite key that is unique and minimal. It is unique because no two rows in a table may have the same value at any time. It is minimal because every column is necessary in order to attain uniqueness. A composite key is composed of two or more attributes, but it must be minimal. 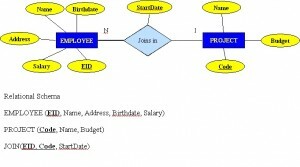 The primary key is a candidate key that is selected by the database designer to be used as an identifying mechanism for the whole entity set. It must uniquely identify tuples in a table and not be null. The primary key is indicated in the ER model by underlining the attribute. A candidate key is selected by the designer to uniquely identify tuples in a table. It must not be null. 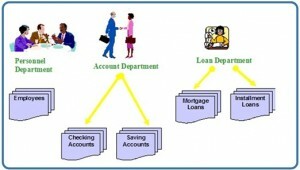 A key is chosen by the database designer to be used as an identifying mechanism for the whole entity set. This is referred to as the primary key. This key is indicated by underlining the attribute in the ER model. A secondary key is an attribute used strictly for retrieval purposes (can be composite), for example: Phone and Last Name. Alternate keys are all candidate keys not chosen as the primary key. A foreign key (FK) is an attribute in a table that references the primary key in another table OR it can be null. 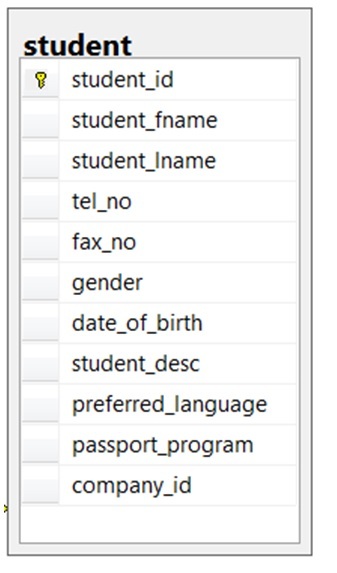 Both foreign and primary keys must be of the same data type. NOTE: The result of a comparison operation is null when either argument is null. The result of an arithmetic operation is null when either argument is null (except functions that ignore nulls). Use the Salary table (Salary_tbl) in Figure 8.6 to follow an example of how null can be used. Figure 8.6. Salary table for null example, by A. Watt. To begin, find all employees (emp#) in Sales (under the jobName column) whose salary plus commission are greater than 30,000. This result does not include E13 because of the null value in the commission column. To ensure that the row with the null value is included, we need to look at the individual fields. By adding commission and salary for employee E13, the result will be a null value. The solution is shown below. Relationships are the glue that holds the tables together. They are used to connect related information between tables. Below are descriptions of the various types of relationships. A one to many (1:M) relationship should be the norm in any relational database design and is found in all relational database environments. For example, one department has many employees. Figure 8.7 shows the relationship of one of these employees to the department. Figure 8.7. Example of a one to many relationship. A one to one (1:1) relationship is the relationship of one entity to only one other entity, and vice versa. It should be rare in any relational database design. In fact, it could indicate that two entities actually belong in the same table. An example from the COMPANY database is one employee is associated with one spouse, and one spouse is associated with one employee. It cannot be implemented as such in the relational model. It can be changed into two 1:M relationships. It can be implemented by breaking up to produce a set of 1:M relationships. It involves the implementation of a composite entity. Creates two or more 1:M relationships. The composite entity table must contain at least the primary keys of the original tables. The linking table contains multiple occurrences of the foreign key values. Additional attributes may be assigned as needed. It can avoid problems inherent in an M:N relationship by creating a composite entity or bridge entity. For example, an employee can work on many projects OR a project can have many employees working on it, depending on the business rules. Or, a student can have many classes and a class can hold many students. Figure 8.8 shows another another aspect of the M:N relationship where an employee has different start dates for different projects. Therefore, we need a JOIN table that contains the EID, Code and StartDate. Figure 8.8. Example where employee has different start dates for different projects. For each M:N binary relationship, identify two relations. A and B represent two entity types participating in R.
Create a new relation S to represent R.
S needs to contain the PKs of A and B. These together can be the PK in the S table OR these together with another simple attribute in the new table R can be the PK. The combination of the primary keys (A and B) will make the primary key of S.
A unary relationship, also called recursive, is one in which a relationship exists between occurrences of the same entity set. In this relationship, the primary and foreign keys are the same, but they represent two entities with different roles. See Figure 8.9 for an example. For some entities in a unary relationship, a separate column can be created that refers to the primary key of the same entity set. Figure 8.9. Example of a unary relationship. A ternary relationship is a relationship type that involves many to many relationships between three tables. For each n-ary (> 2) relationship, create a new relation to represent the relationship. The primary key of the new relation is a combination of the primary keys of the participating entities that hold the N (many) side. In most cases of an n-ary relationship, all the participating entities hold a many side. Figure 8.10. Example of a ternary relationship. 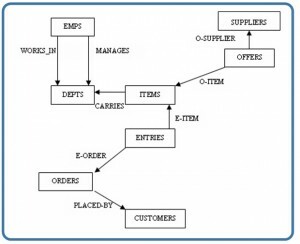 entity relationship (ER) data model: also called an ER schema, are represented by ER diagrams. These are well suited to data modelling for use with databases. ternary relationship: a relationship type that involves many to many relationships between three tables. unary relationship: one in which a relationship exists between occurrences of the same entity set. 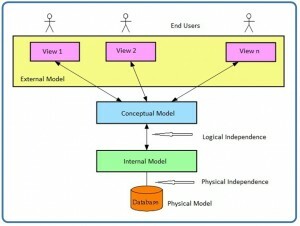 What two concepts are ER modelling based on? The database in Figure 8.11 is composed of two tables. Use this figure to answer questions 2.1 to 2.5. Figure 8.11. Director and Play tables for question 2, by A. Watt. Identify the primary key for each table. Identify the foreign key in the PLAY table. Identify the candidate keys in both tables. Does the PLAY table exhibit referential integrity? Why or why not? 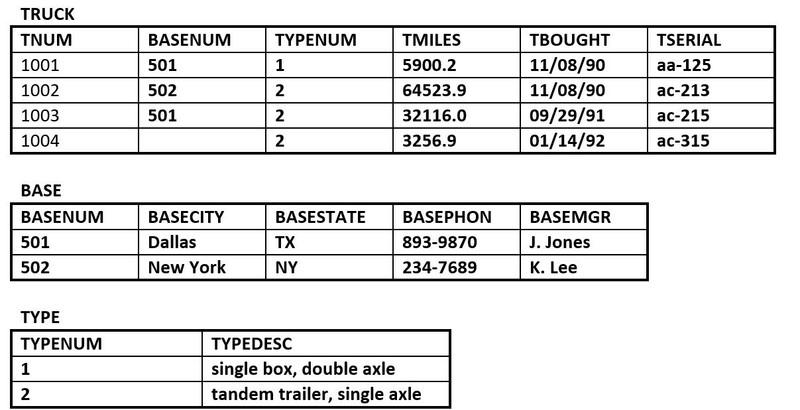 The RRE Trucking Company database includes the three tables in Figure 8.12. Use Figure 8.12 to answer questions 4.1 to 4.5. Figure 8.12. 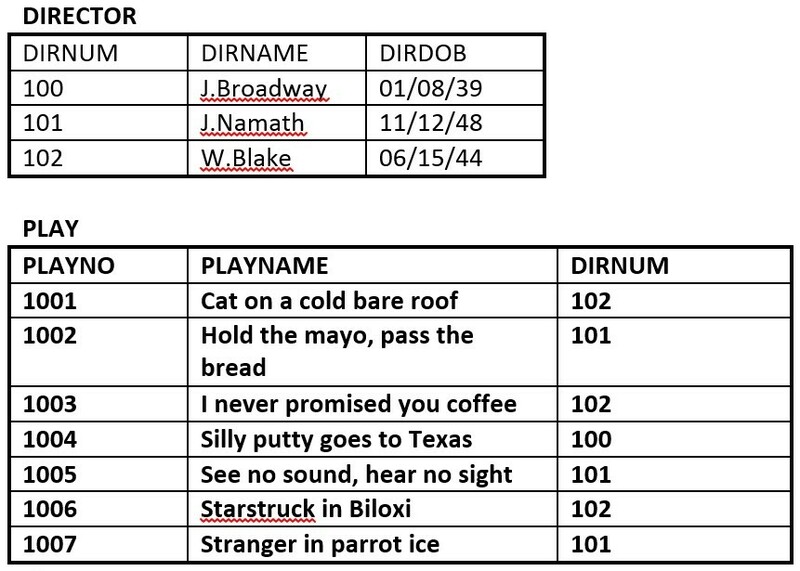 Truck, Base and Type tables for question 4, by A. Watt. Identify the primary and foreign key(s) for each table. Does the TRUCK table exhibit entity and referential integrity? Why or why not? Explain your answer. What kind of relationship exists between the TRUCK and BASE tables? How many entities does the TRUCK table contain ? Identify the TRUCK table candidate key(s). Figure 8.13. Customer and BookOrders tables for question 5, by A. Watt. Suppose you are using the database in Figure 8.13, composed of the two tables. Use Figure 8.13 to answer questions 5.1 to 5.6. Identify the primary key in each table. 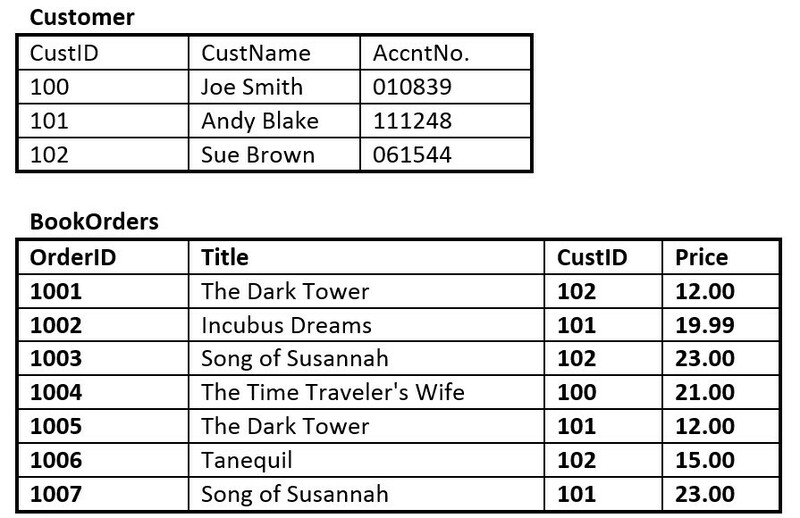 Identify the foreign key in the BookOrders table. Are there any candidate keys in either table? Does the BookOrders table exhibit referential integrity? Why or why not? Do the tables contain redundant data? If so which table(s) and what is the redundant data? Looking at the student table in Figure 8.14, list all the possible candidate keys. Why did you select these? Figure 8.14. Student table for question 6, by A. Watt. Figure 8.15. ERD of school database for questions 7-10, by A. Watt. Use the ERD of a school database in Figure 8.15 to answer questions 7 to 10. Identity all the kernels and dependent and characteristic entities in the ERD. Which of the tables contribute to weak relationships? Strong relationships? Looking at each of the tables in the school database in Figure 8.15, which attribute could have a NULL value? Why? Which of the tables were created as a result of many to many relationships? Chapter 8 The Entity Relationship Data Model by Adrienne Watt is licensed under a Creative Commons Attribution 4.0 International License, except where otherwise noted.